Work on the Overseas Railway started in 1905 to connect Key West with the Florida East Coast Railway. A distance of 128 miles. The rail operated from 1912 to 1935, when it was destroyed by the Labor Day Hurricane, which was a Catagory 5. The Florida East Coast Railway was already broke, so the rails were not repaired and the infrastructure was given to the state of Florida. The Overseas Roadway was then built, using much of the old rail supports, but adding a second deck in sections where the rail deck was too narrow. 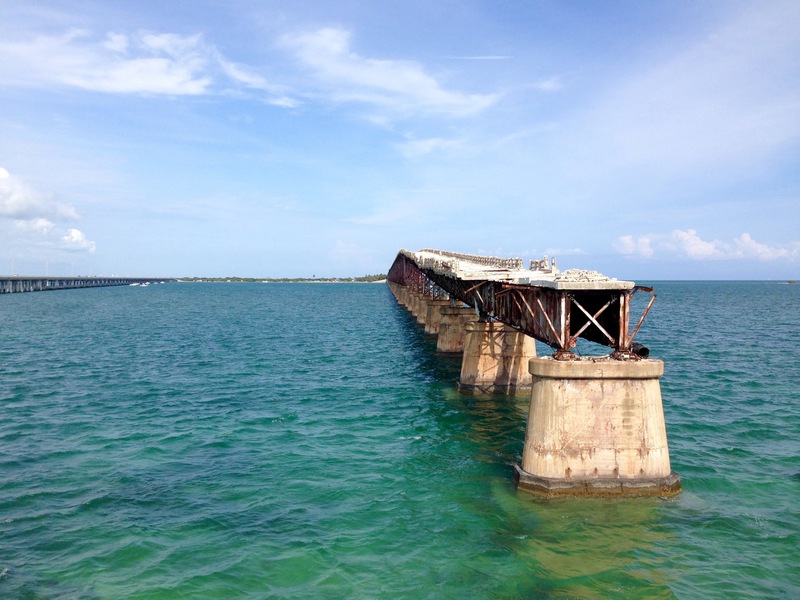 This entry was posted on Monday, April 18th, 2016 at 11:47 PM	and tagged with driving, history, key west, railway, ruins, travel and posted in photography. You can follow any responses to this entry through the RSS 2.0 feed.